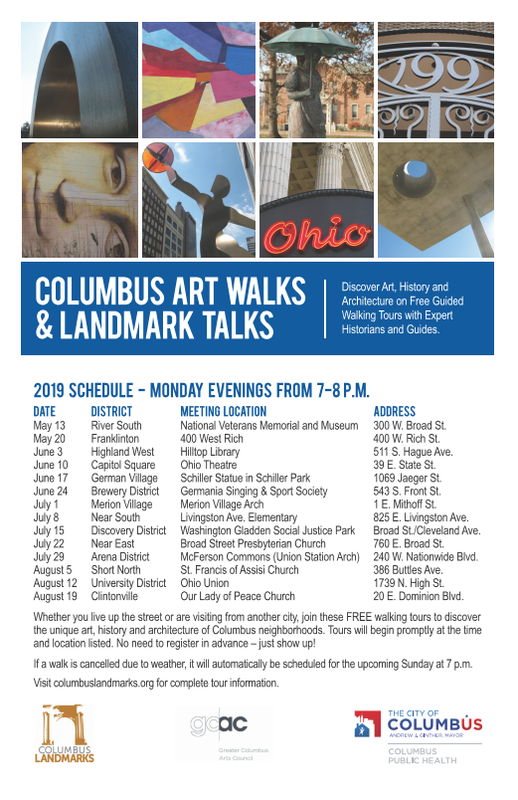 We are thrilled to partner with Columbus Public Health on a new season of 14 FREE Art Walks & Landmark Talks! Explore our city’s unique neighborhoods on these one-hour urban adventures, and learn more about each neighborhood’s unique architecture, art and history … all while improving your health and fitness. These tours are provided with support from the Greater Columbus Arts Council. 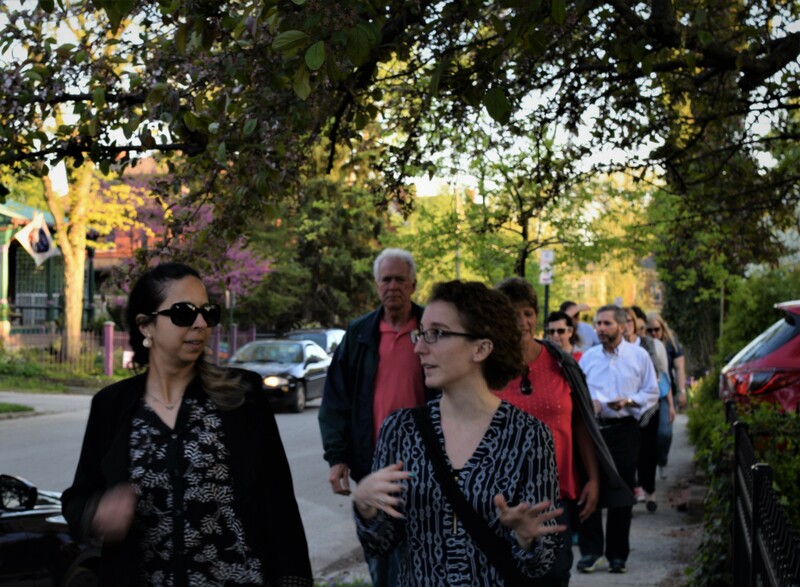 Art Walks & Landmark Talks are offered on Mondays at 7pm from mid-May through mid-August. Tours begin promptly, so please arrive a few minutes early to divide into manageable tour groups – each with your own knowledgeable and entertaining guide. You will be amazed at all you learn and discover at 3 mph vs. 35+ mph, so bring your family, friends and neighbors to explore together! With unpredictable weather, we wait until 5pm to make a good judgment call regarding whether or not we need to reschedule. If the weather looks threatening, we will post tour status here and on Facebook and Twitter by 5pm. If a walk is cancelled due to weather, the rain date is the following Sunday at 7pm.